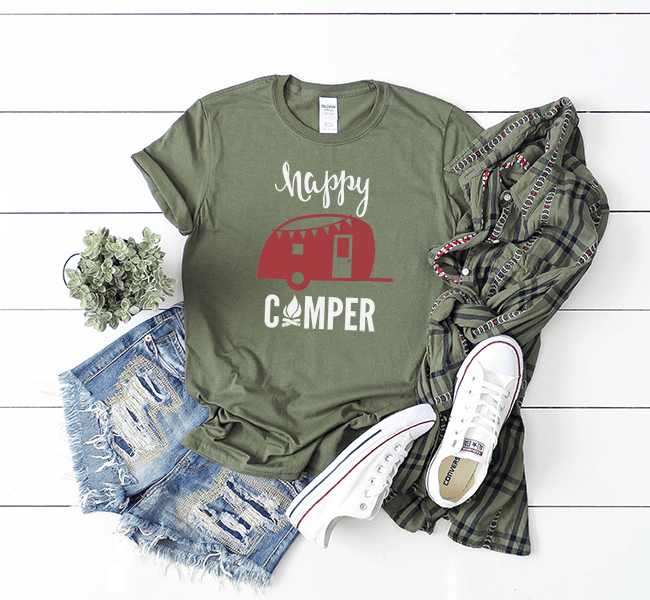 I’ve always loved camping although I’m sure I would love it even more in a cozy, cute camper. I see all of these outrageously redone campers on Pinterest and swoon over them. 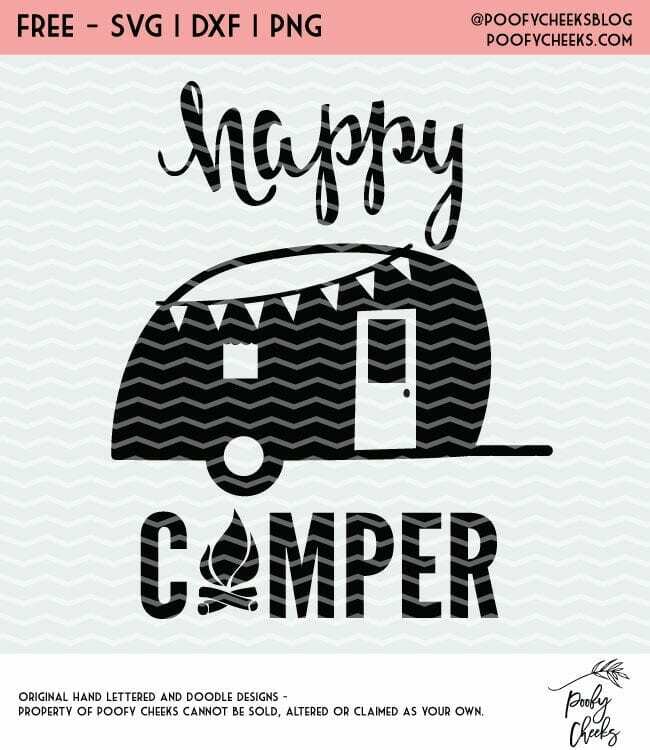 Inspired by campers, I have a flash freebie camper cut file to share. April 15th the flash freebie will be for sale in my online shop for $1.99. This post contain affiliate links to proudcts I use and recommend. By making a purchase I may receive a small commission. Sign up and get instant access to the Happy Camper Cut File. Join over 10,000 others who get access to our free cut file library. Thank you so much for sharing something I love also.